Heat shock protein (Hsp90α) has been recently implicated in cancer, prompting several attempts to discover and optimize new Hsp90α inhibitors. Towards this end, we docked 83 diverse Hsp90α inhibitors into the ATP-binding site of this chaperone using several docking–scoring settings. 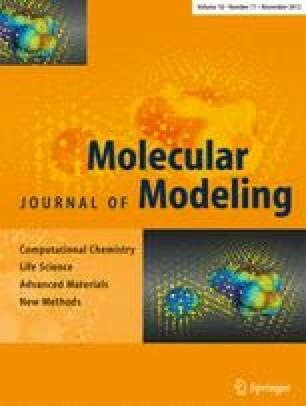 Subsequently, we applied our newly developed computational tool—docking-based comparative intramolecular contacts analysis (dbCICA)—to assess the different docking conditions and select the best settings. dbCICA is based on the number and quality of contacts between docked ligands and amino acid residues within the binding pocket. It assesses a particular docking configuration based on its ability to align a set of ligands within a corresponding binding pocket in such a way that potent ligands come into contact with binding site spots distinct from those approached by low-affinity ligands, and vice versa. The optimal dbCICA models were translated into valid pharmacophore models that were used as 3D search queries to mine the National Cancer Institute’s structural database for new inhibitors of Hsp90α that could potentially be used as anticancer agents. The process culminated in 15 micromolar Hsp90α ATPase inhibitors. The online version of this article (doi: 10.1007/s00894-012-1479-z) contains supplementary material, which is available to authorized users.